Wall Street Value > Blog > Wall Street Value > What Does a Gallon of Milk Have to do With Investing in The Stock Market? My wife asked me to go the the store earlier this week to buy a gallon of milk, so Sammie and JJ can have their cereal in the morning. As I roam the aisles of Shop Rite, as most clueless husbands do, I am trying to find where the milk aisle is located. Ahh, there it is…it’s at the complete opposite side of the store from where I am. So, after walking 50 aisles and half a mile later I finally get to the refrigerated section that holds the milk. I get there and what do you know. There are about 10 different types of milk, 1%, 2%, Skim, Whole, Almond, and whatever else was there. I didnt know which one to get, so I just picked one and hoped for the best. What I did notice was that they were all pretty much the same price. And that got me thinking about…the stock market. Let’s pretend for a minute that there were a few different prices for that gallon of milk. Brand A was $25/gallon, Brand B was $4/gallon, and Brand C was $1/gallon. How many of you would buy Brand A? None of you would, right? Why? No matter how clueless some husbands are, I think it is pretty safe to say that all of us know that a gallon of milk does not cost $25. It is too expensive…it’s not worth that much. It’s safe to say that Brand B is priced pretty fairly. What about Brand C. Why is it only $1? There could be two reasons for that: First, it is past the expiration date, it’s sour, and gross. OR it could be on Sale. Maybe Shop Rite is putting it on sale for 1 day only. So, what does that gallon of milk have to do with the stock market? When investing hard earned money, often times people buy investments without doing just a little bit of research on what it is that they are investing in. Maybe you are taking a leap of faith and giving it to an advisor and hoping they know what they are doing. Maybe you are investing in a stock because you heard it is the “hot tip” that you can’t miss out on. Or maybe you are a bit smarter and you are investing in it because you are familiar with the company and you use their products and services. When Warren Buffett invests, do you think he buys a stock just because he likes the product? When he bought Coca Cola, do you think he bought billions of dollars of stock because he likes the taste of the drink, or do you think he did some homework to figure out how good the business is AND how much the business of Coca Cola is worth? When you invest in anything, you need to know the value of what it is that you are buying. Just like when we go grocery shopping and buy a gallon of milk. I would never buy a gallon of milk for $25 because that is equivalent to buying a stock that is overvalued. As investors, we NEVER buy anything if it is overvalued. If I bought the $4 gallon of milk that is like buying a stock that is fairly priced. You may do well with that stock or you might not. You definitely won’t have any exciting returns. If you bought that gallon of milk that was only $1, that is like buying a stock at a discount. Why is it at a discount? Is it sour milk or is it at a very nice bargain price that may only last for a short period of time? We, as investors, need to figure that out. If we can do that, we will be very successful. Warren Buffett has a great quote when it come knowing stock prices: Price is what you pay, Value is what you get. What does he mean by that? The current price of any stock just represents the price investors are willing to pay for it at the current moment. That doesn’t mean that is what the stock is actually worth. Let’s assume that I buy shares of XYZ for $50 a share today (and we are going to assume it is going to go up to $60 in the next few months). For some reason the stock takes a beating and it is now trading at $40. You go and buy a bunch of shares at that price. I paid $50 and you paid $40. That is the PRICE we paid. We bought the same company, who sells the same products and services, but which investor got more VALUE? There are many ways to determine where a stock should be priced. I use 13 different calculations. And, unlike what most people believe, most of these calculations require just a basic 3rd grade level of understanding. Once you are able to understand how to value a stock and know what a stock is worth before you invest, you will never overpay for a stock again. You will know when you are buying a great company at a great price. 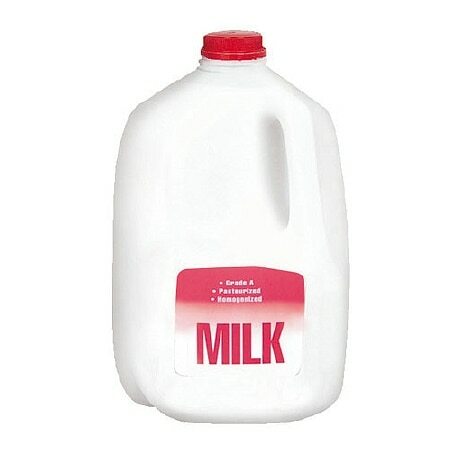 You will be buying a fairly priced $4 gallon of milk for just $1 or $2. Another thing that will happen when you understand this concept is that you won’t freak out the next time the market has a major decline. Instead of thinking that the world is collapsing, you will see that decline as a huge buying opportunity. When the market crashes, everything goes on sale. That is when we load up the truck. Charlie Munger once said “Money is made when you buy, not when you sell”. If you want to know some ways that I value stocks, let me know and I will share that with you in my upcoming posts. This is the first post I have made in quite a while. I have spent the last year creating a few courses on investing. Now that I am wrapping that up, I have much more time to get back to posting blogs. Also, let me know what other topics that you want to learn about when it comes to investing in the stock market or options trading. I want to hear from you and I will be happy to answer any questions you may have. FREE OFFER:SEND ME YOUR TOP 10 QUESTIONS ABOUT INVESTING IN STOCKS AND OPTIONS AND I WILL SEND YOU A COPY OF “HOW TO VALUE A STOCK — METHOD #1” AND I WILL GIVE YOU FREE ACCESS TO OUR “STOCK MARKET BASICS” COURSE. If you want to hear more from me, follow me on social media: Facebook @WallStreetValueOfficial, Twitter @WallStreetValue, YouTube @Wall Street Value and Instagram @TomVilord. I was suggested this web site by way of my cousin. I’m no longer certain whether this post is written by way of him as nobody else recognise such specified about my difficulty. You’re incredible! Thanks!